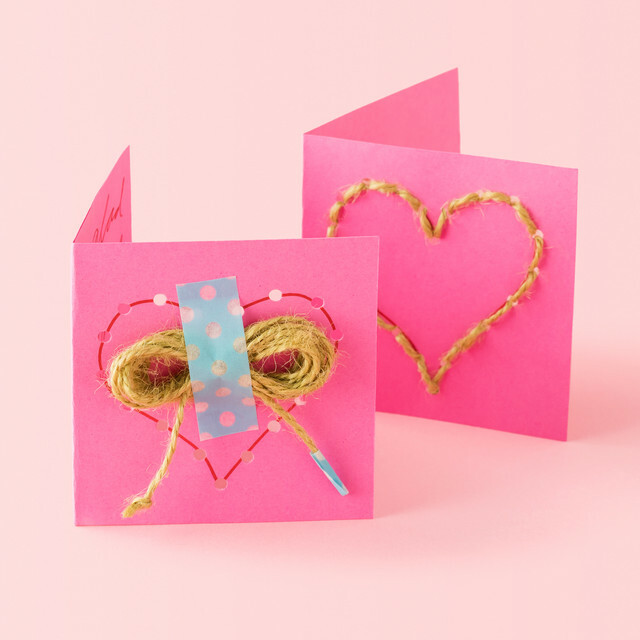 These easy, artful cards are suitable for framing! 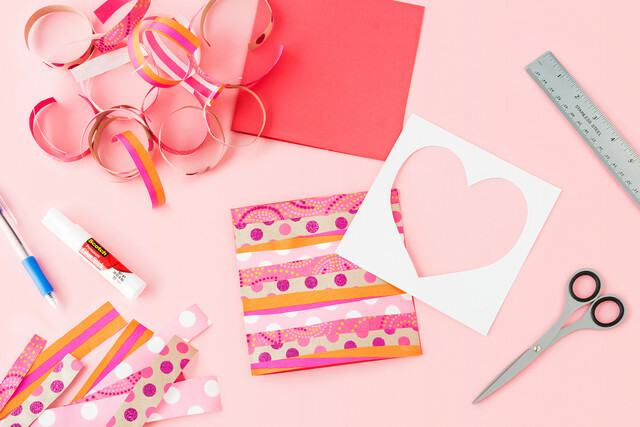 Strips of different types of wrapping paper are fashioned into a sweet heart. 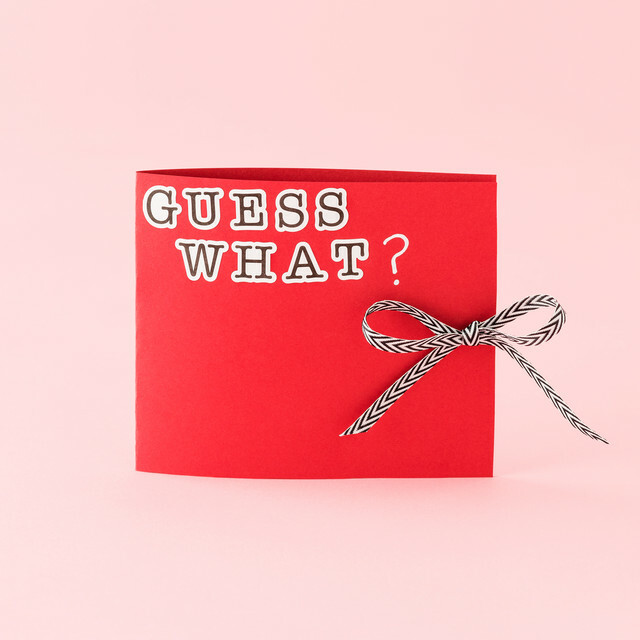 Cut a piece of red construction paper 12" x 6"
Your Valentine will have fun revealing who is tugging at their heart strings! 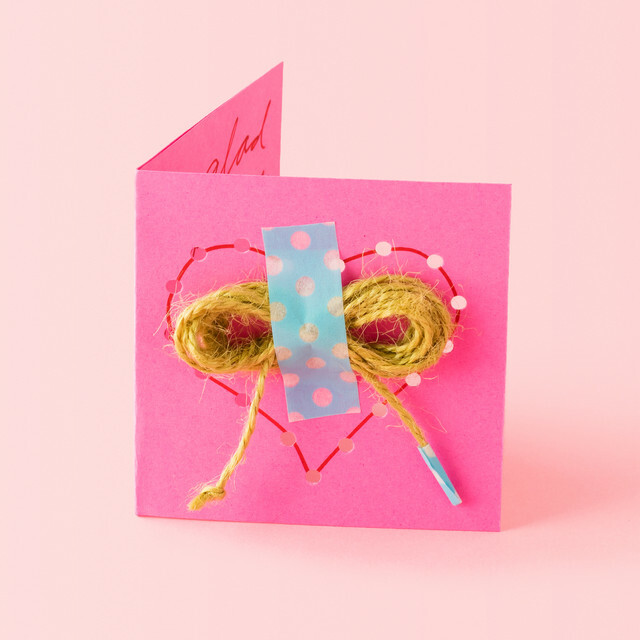 A pull of the ribbon on front and they'll know it's you! 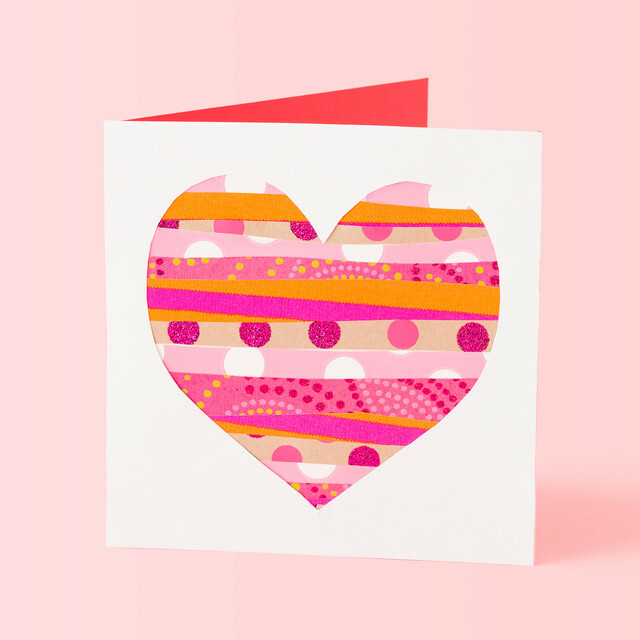 Cut a piece of red construction paper 10" x 4.5"
Place sticker littering on front of card spelling out "guess what"
Hearts will soar when this Valentine lands in their mailbox! 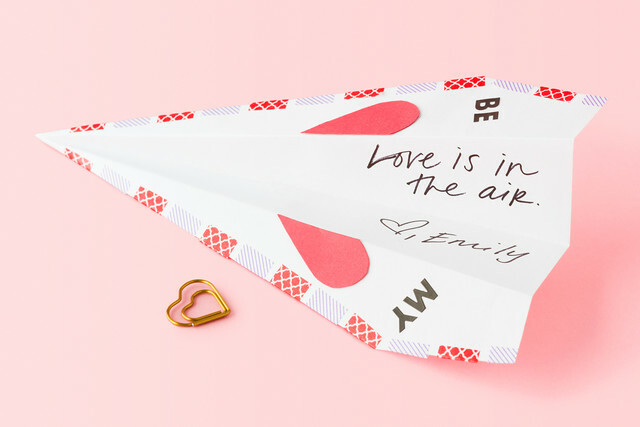 We think that paper airplanes never go out of style when it comes to good, clean fun - and this note flies high in the cute department! 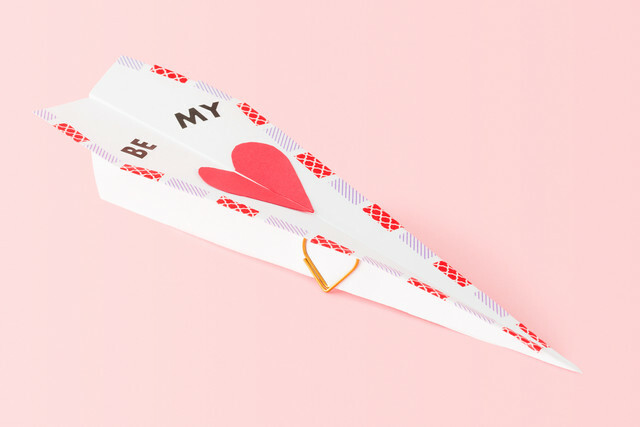 Paste heart to middle of paper airplane, and use sticker letters to spell out "be my"
This one is so very cute and great for the kiddos to make and give. 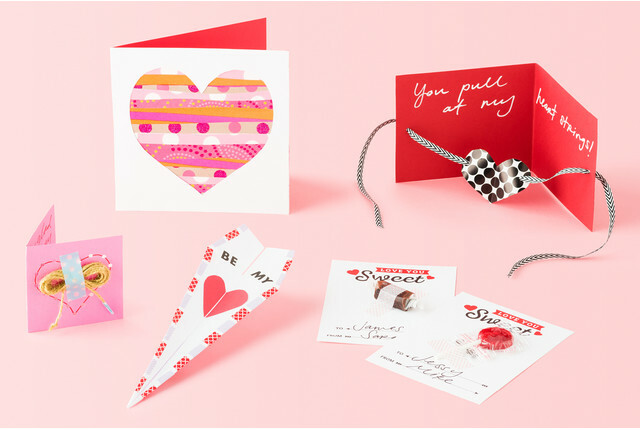 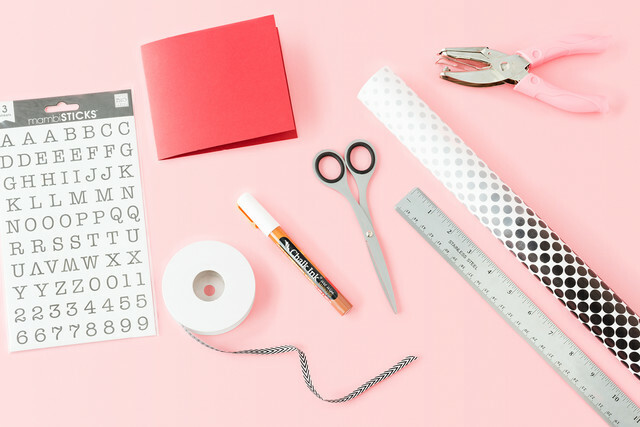 The recipient gets to string together how much love their Valentine has for them! 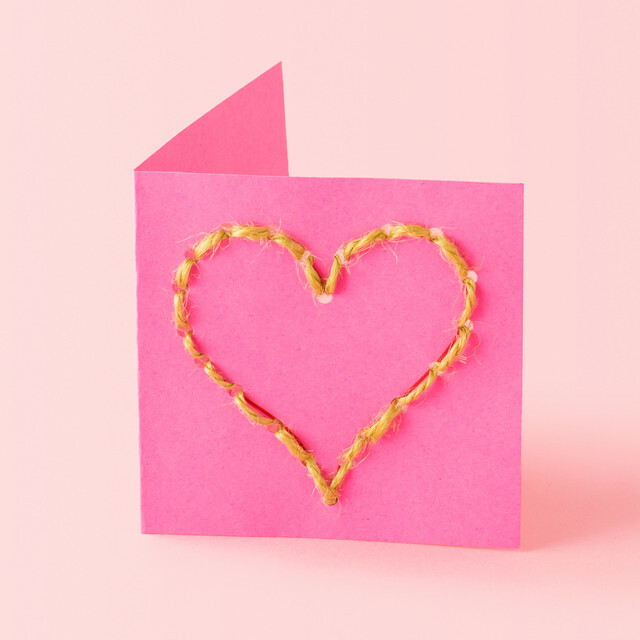 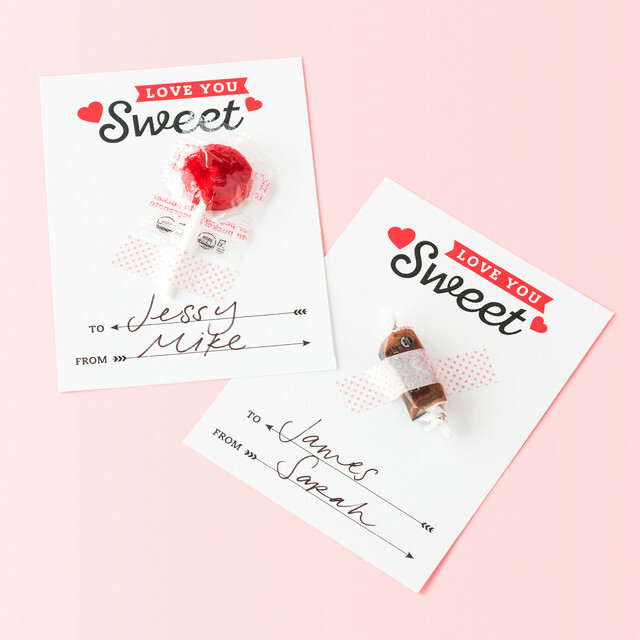 This love note is double the fun - a sweet message and a sweet treat! 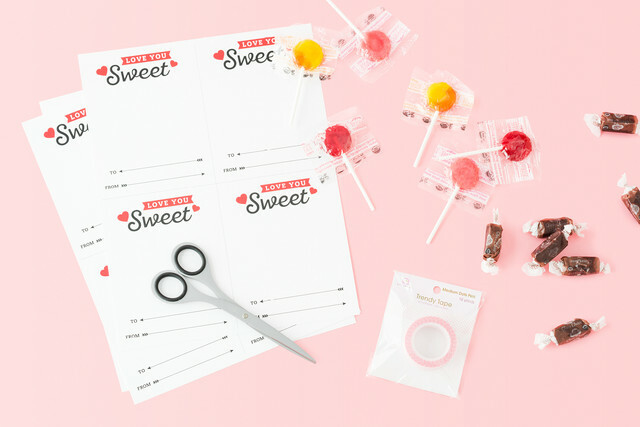 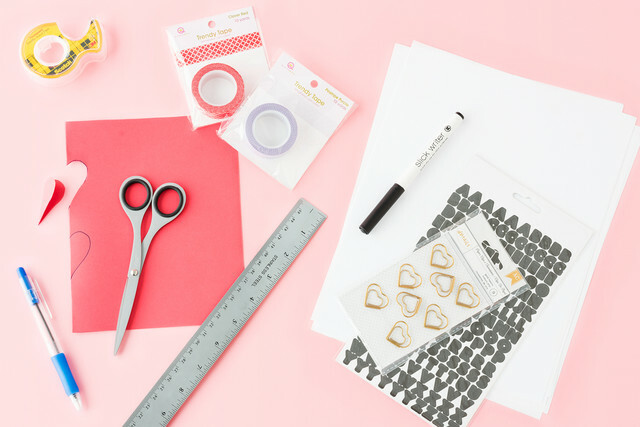 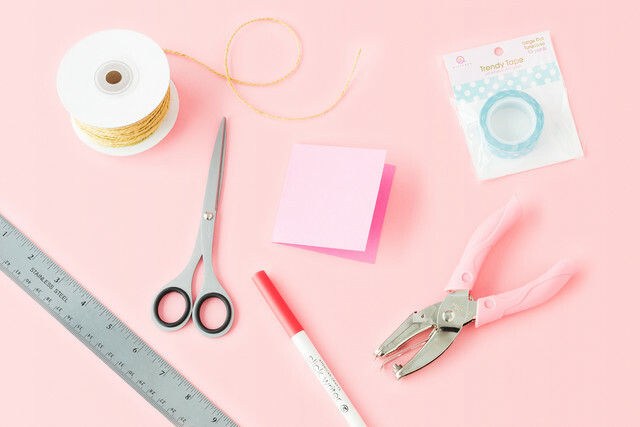 We've provided a template for you to print - just tape on the candy and you've got a Valentine that's super cute and sugar-filled!